He was a crew member onboard a former fishing boat which was commandeered by the Royal Navy to sweep the seas around Britain for a new deadly catch of mines during WWII. He also guided ships safely to harbour in waters threatened by constant attack from German submarines and served in theatres of war around the world stretching from the North Sea to Sri Lanka. 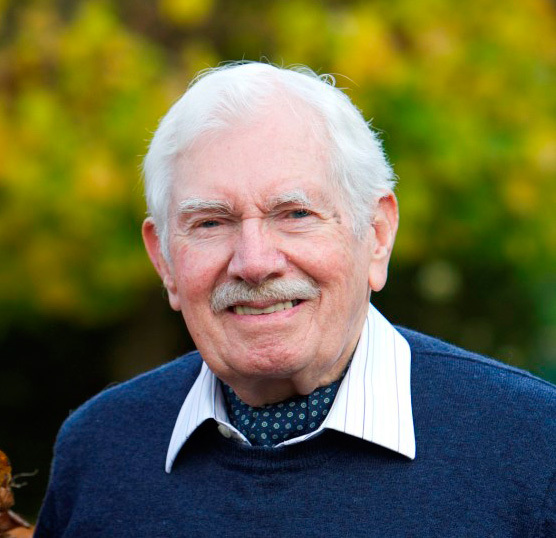 Now, thanks to an award from the Big Lottery Fund’s Heroes Return programme, 87-year-old George Davies from Monmouth will return to Sri Lanka in January 2012 to recall the role he played during the Second World War and retrace his steps for the last time. George Davies was working in a bank in Carmarthen when he was called up for war duty in September 1943. He enlisted in the RAF and was initially trained as a wireless operator. However, due to a shortage of telegraphists to man all the landing craft for the second front, George was transferred to the Navy as a telegraphist. Using Morse code to communicate, telegraphists were indispensable at sea and were used for relaying secret coded messages. In 1944, he joined HMT Cranefly at Grimsby, a First World War fishing trawler converted for mine sweeping duties. Many of the crew, including the captain, were ex-fishermen. Mine sweepers were designed to counter the threat posed by the deadly naval mines and are often seen as the unsung heroes of WWII for their role in keeping the waters around Britain safe from the deadly explosives and submarine attacks. “We swept for mines in a single line, one ship astern of the other, enabling quite a large area to be swept. Our sweeping area was from Flamborough Head of the coast of Yorkshire to Sheringham off the coast of Norfolk. The comradeship onboard is something George will never forget: “The fishermen were a hardy lot and didn’t take very kindly to naval discipline,” he recalls. “They were very superstitious too. You didn’t shave at sea and you would never have an open safety pin on the mess deck. The daily tot of rum was served neat whereas on the big ships it was two parts water to one part rum. 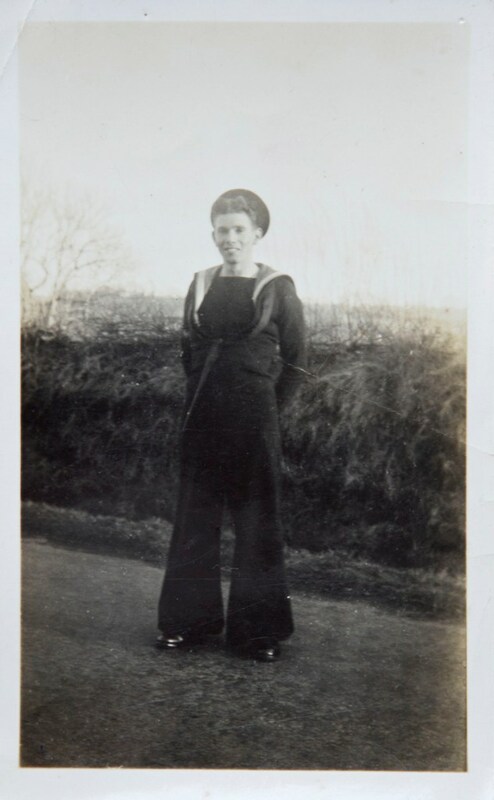 Following VE Day in May 1945, George was discharged from HMT Cranefly and sent on a Foreign Draft to HMS Mayina, a transit camp in Colombo, Sri Lanka, where all personnel in the East Indies Fleet passed through. George and the crew would now be focused on the War in the Pacific and combating the threat from the Japanese Imperial Navy. “We sailed out from Greenock in Scotland on HMS Glengyle, a former cargo ship,” says George. “The accommodation was terrible as we had to sleep on the mess deck in hammocks with only a blanket. The ship had no air-conditioning which meant that when we reached warmer climes, we slept on the open deck to keep cool. As they were waiting to disembark from the ship off the coast of India, George heard on the radio that an atom bomb had been dropped on Hiroshima, Japan. He was in a small village just outside Bombay by the time the second bomb was dropped on Nagasaki and Japan surrendered. It was only later that George discovered that they were to form part of the plans for an invasion of Singapore to take it back from the Japanese. However, the atomic bombings of Japan had brought an end to the War. George remained in Sri Lanka until he was sent to Bombay to catch a liner called the Llanstephan Castle back to Britain. However, naval mines remained a threat even after the war ended and before he was demobbed, George was drafted for duty onboard another mine sweeper with responsibility for clearing the inshore minefields between Boulogne and Dieppe off the coast of France. 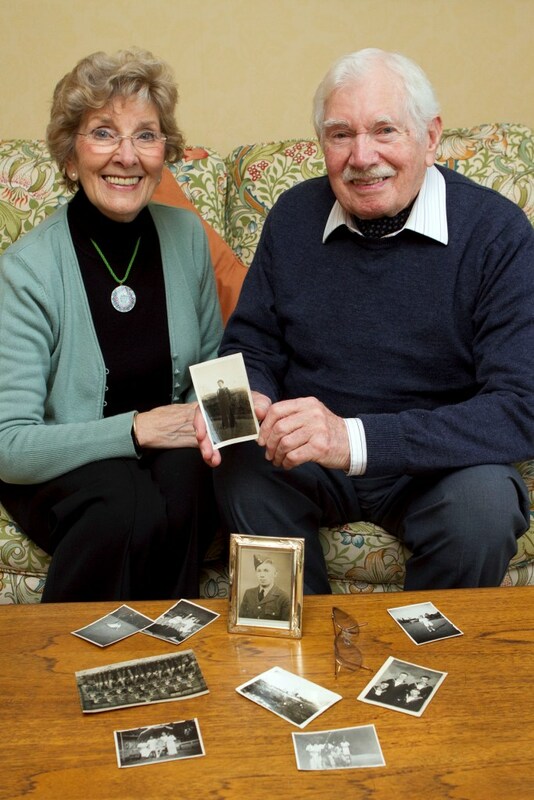 To date more than £25 million has been awarded to more than 51,000 Second World War veterans, widows, spouses and carers across the country for journeys in the UK, France, Germany, the Middle East, Far East and beyond. George is one of numerous veterans from Wales who have made a poignant return to the places where they served during the war.The Big Lottery Fund’s Heroes Return programme has to date awarded over £1 million to more than 830 Second World War veterans, widows, spouses and carers from Wales for journeys in the UK, France, Germany, the Middle East, Far East and beyond.